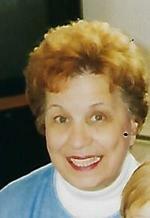 Loretta Knott Obituary - Scranton, Pennsylvania | Solfanelli-Fiorillo Funeral Home Inc.
Loretta Archer Knott of Scranton passed away Tuesday at home with her loving family by her side. She was the widow of Charles Knott Sr., who died Jan. 18, 1997. Born in Scranton, she was the daughter of the late Joseph and Eleanor Carnavale Archer. Before her retirement, she was employed at Specialty Records and previously worked at Magnetic Laboratories. She was a longtime, active member of St. Anthony of Padua Church until its closing, now a member of Mary, Mother of God Parish. Loretta enjoyed crocheting, birdwatching and her flowers. Her family would like to thank all of her caregivers, including her sister, Joan Cizik, Sandra Hobbs, Patricia Ann McCawley, Bruce Cizik and the entire staff of Traditional Hospice. Surviving are her son, Charles (J.R.) Knott Jr. and wife, Donna, Scranton; grandchildren, Charles (C.J.) Knott III and Ryan Knott; a sister, Joan Cizik and husband, Rod, Bell Mountain; brother-in-law, Joseph Pastelok, Scranton; sister-in-law; Myrtel Archer, Scranton; several nieces and nephews. She was also preceded in death by four brothers, James, Patrick, Anthony and John; three sisters, Antoinette Pastlok, Ann Churmblo and Mary Johns. Private funeral services will be conducted at the convenience of the family from the Solfanelli-Fiorillo Funeral Home Inc., 1030 N. Main Ave. Interment will be at Cathedral Cemetery.